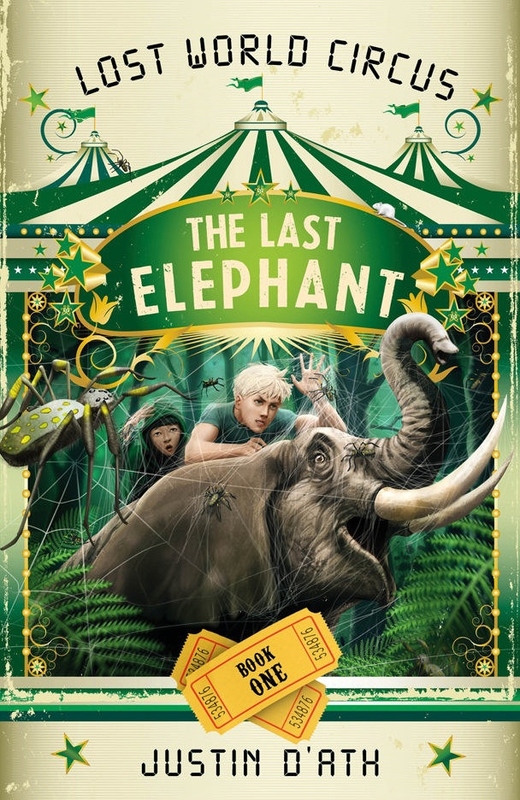 The Last Elephant is the first book in a new series by long-time kid’s author Justin D’Ath. In the series, The Lost Circus, earth has had a terrible pandemic of an illness called Rat Flu. Most of the animals we know today have either become sick and died or been killed to prevent the spread of the infection. All except the animals in Captain Noah’s Lost World Circus. It is a clever premise. It leaves masses of room for adventure, goodies and badies, and encounters with exciting animals but it also seems like it could potentially happen. And if that doesn’t seem exciting enough the hero, Colt Lawless, seems to be developing super powers as a side effect of being infected with rat flu (but saved by his vet mother) when he was a child. I really liked The Last Elephant. It has really appealing messages about protecting and respecting animals, as well as about government abusing people’s fear and becoming corrupt and powerful and the people’s ability to fight back. But most of all it is just an exciting adventure story that has you on the edge of your seat until the very end. Who’ll love it: Kids aged 8 plus, and it will really appeal to boys who love an exciting adventure.